The prize also includes a dinner for two and a bottle of prosecco. When it comes to trying to get Valentine's Day gifts, few things are as reliable as a romantic break for two. You don't need to leave these shores either, as we aren't short of beautiful hotels right here in Ireland. Whether you want to explore the countryside or just put your feet up for a weekend, you're spoilt for choice. 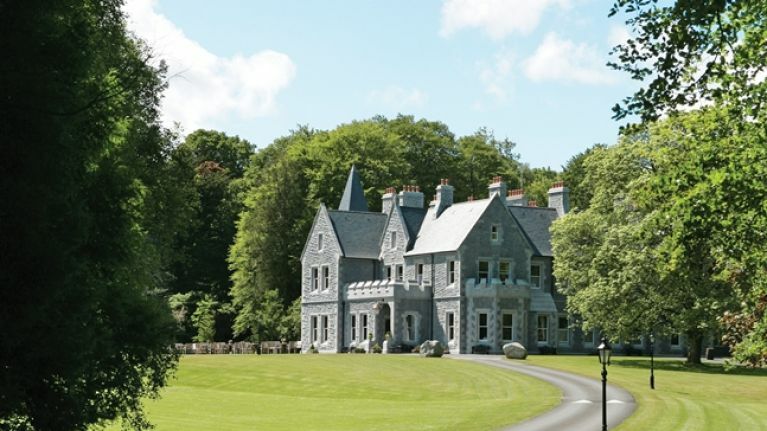 As many great hotels as we have in Ireland, there simply aren't many with the authentic old world charm of the luxury Victorian Mount Falcon Estate in County Mayo. Often referred to as Ireland's most romantic house, it has a history that would certainly give credit to that claim. Originally built back in 1876 as a wedding gift, it's now known as one of Ireland's top wedding venues. When it comes to making a trip away as romantic as possible, you can't beat the Victorian charm of Mount Falcon Estate. On top of the excellent spa & leisure facilities you'd expect in a 4-Star hotel, adventurous couples could enjoy activities like salmon fishing, falconry and even clay pigeon shooting! Although it's only 6km outside of Ballina, you'll feel like you're in a totally different world. If you're thinking about tying the knot, their wedding showcase is taking place (email alexa@mountfalcon.com for appointments) on Sunday, 10 February. Also included in the prize is a meal for both of you in the Kitchen Restaurant, which is located where the original Victorian kitchen once stood. The menu may change seasonally, but you're always guaranteed a delicious meal with the freshest food. To be in with a chance of winning, just answer the simple question below. Click here if you can't see the question. Mount Falcon Estate is a luxury 4-star hotel located in North West of Ireland, nestled within 100 acres of lakes and woodlands. Discover a romantic Victorian hideaway, built as a wedding gift in 1876. Today, Mount Falcon Estate offers wellness in all forms. This ranges from elegant bedrooms and superb dining to their relaxing Spa and luxury lodges. Guests can also enjoy an array of fun actives like nature walks, falconry, salmon fishing, golfing, and clay pigeon shooting.